With the number of discussion threads proliferating on Basecamp we've decided to augment our planning, adding weekly Skype meetings to our agenda. We've also allocated our team roles, with Stephen taking spokesperson duties and Georg taking treasurer responsibilities. Lots of ideas continue to circulate, with several points of debate crystallizing as we each gain deeper appreciation of how weighty our stated aim is (coupling a microbes circadian rhythms to a planetary body). We're going to give ourselves ample time (a full month) to chew, mull and otherwise metabolise the problematics and ideas being raised by our discussions, but we will be making some concrete decisions soon, such as which planet we're hoping to align our cyanobacteria to. 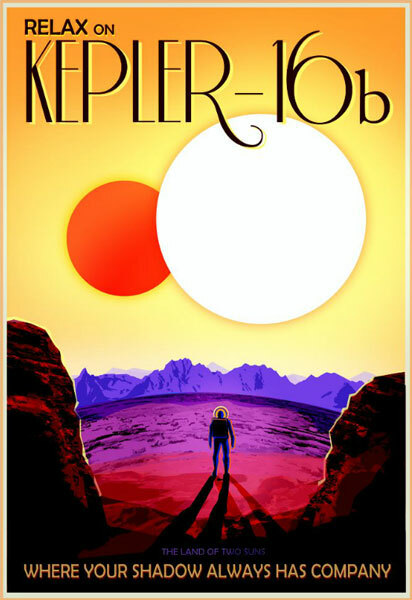 We need to decide whether the cosmic candidate will be within the bounds of our solar system or if we will expand the candidates to include all the Kepler Objects of Interest (broadening the potential candidates by several magnitudes). The variation in what constitutes a “day” in our solar system varies quite considerably, with yet more durations possible within the scope of Kepler's detected exoplanets. The candidate organism in addition to its growth medium of choice have been identified. Elsewhere the fleshy agency of the material is making itself known as we prepare our plans. Cyanobacteria photosynthesise to survive, and so modulation of their body clocks has to account for the fact they will simply perish without light. This makes some of the circadian manipulation experiments effected on multicellular organisms, where periods longer than the 25 hour endogenous rhythm were imposed on subjects, a non-runner. Thankfully we have found some scientific literature which has also investigated how to effect circadian change.